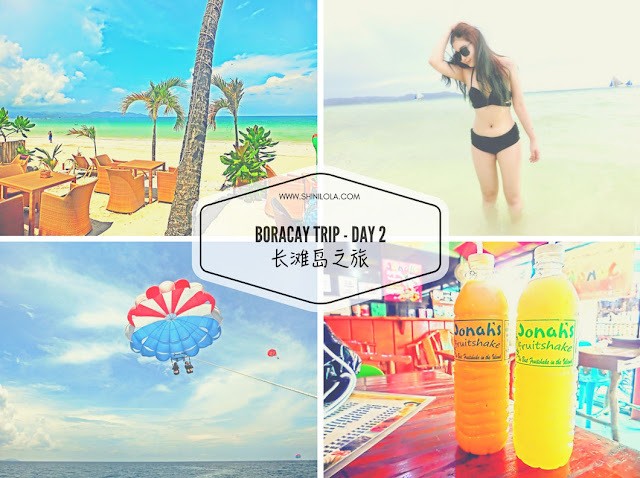 Boracay, finally is the last post for my Boracay trip itinerary aka Day 4 and 5. Why I combined the two days post into one? Because the last day in Boracay is basically just go back to Malaysia early in the morning so I decided to combined them. This have been a wonderful trip with boyfie and can't wait for more to come! Makeup, is the thing that I'm addicted with. Yes, I updated my YouTube Channel again with makeup tutorial. I will be very active in these few weeks so don't forget to SUBSCRIBE me (@TheShinilola). 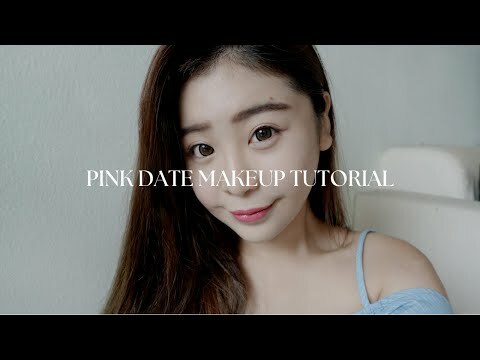 This time, I'm sharing with you guys Pink Date Makeup Tutorial by using the lovely products that I've received from HERMO. Hope you guys enjoy watching the video and don't forget to let me know how you think. 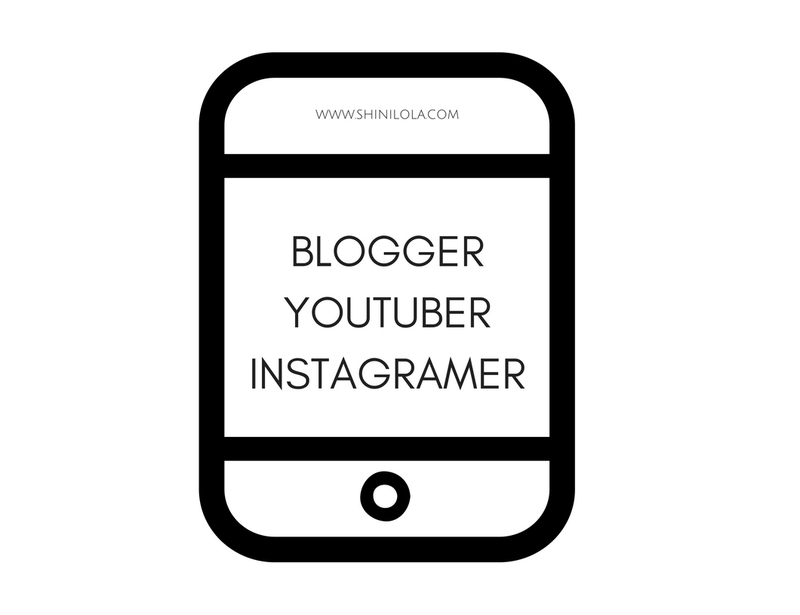 #SHINIOOTD, is the label for me to share my fashion style with all of my readers. Pink and black and white are always my favourite colours to mix and match. Therefore, today post is about my OOTD which are PINK LADY x MONOTONE. 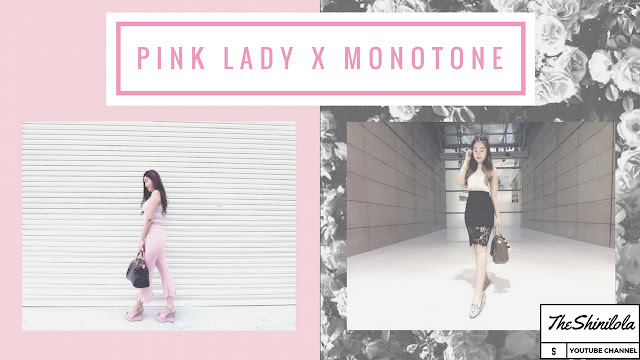 Pink is more into feminine which easily to create a lady look. On the other hand, black and white is easy to match with any outfits and classy. They never goes wrong! I also included the video at the end of the post. Hopefully you guys will love. Hello! 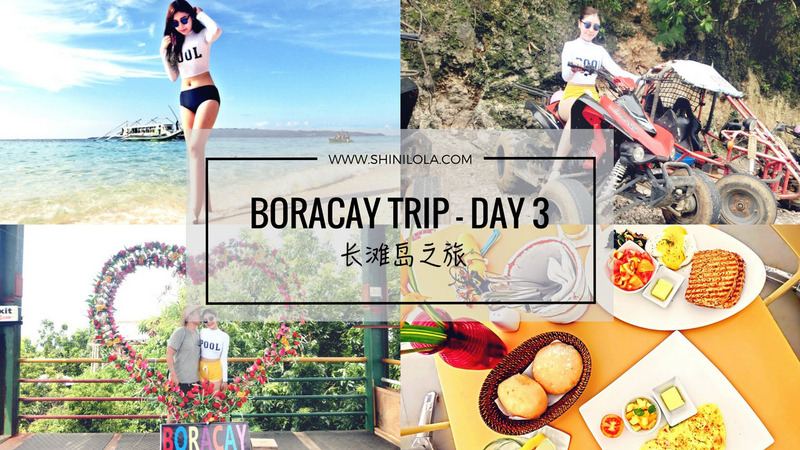 My Boracay Trip Day 3 post is here! Sorry for disappeared for a whole week! I'm so busy with my full time job this week and even outstation for 2 days. I just came back from Ipoh because it's been awhile I didn't meet my family. Although I'm so exhausted now but nothing can stop me to blog about my Boracay trip! Hello! Finally here comes my Boracay Trip Day 2! Since I blogged about my first day in Boracay, most of the readers keep spamming my Facebook inbox and asked me when they rest of the itinerary will be out. Sorry for the delay. I already try my best to blog about them as soon as possible. Hopefully you guys enjoy reading this post as well. Hola! So today topic is about Blogger, Youtuber and Instagramer. Are you one of them? This kind of social terms have been questioned by some of my friends and even myself. So I would like to share my personal opinion with you guys. Of course, by the end of the day, it is always depends on your own decision. These are just my opinions after all so please don't take it seriously. I'm just a small potato person and I wish to makes more friends but no wars / drama. Peace! So I start with blogger first since it's the most relevant terms to me. What you means by "blogger"? 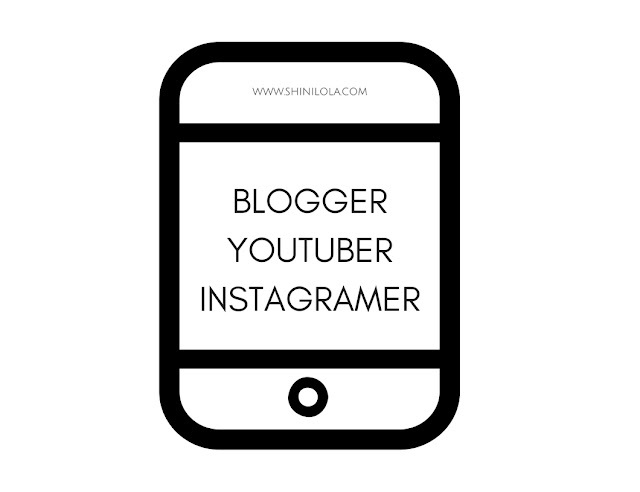 A blog editor that famous with their blog, use their blog as an income, or just a person who own a blog? I remember I don't even dare to call myself as a blogger even I started my blog for 3 years. I just said I blog but not a blogger. Until I start to use it as my side income, I only have the courage to called myself as a blogger. But sometime my colleague and friends asked me, what exactly means by blogger? Now everyone also claims themselves as bloggers. A person who blogged for 2 posts also claims as herself as blogger. Frankly, I really have no idea. It depends on what you choose to believe. Youtuber really just a term that I can relate lately because I don't really make video. Until recently, I only managed to squeeze some time for that. So I consider quite active for these few months. I attended a video collaboration event last month. The event are covered with a lot of "youtuber". Most of them are not with familar face since I'm not in this industry. They came to me and asked, "are you a youtuber?" "Not really, I'm not so active for my Youtube Channel". I answered with a friendly smile. Then they was giving that face like duh, why are you been invited anyway. They directly asked me the figure numbers of my Youtube channel total views. Since I'm not a famous youtuber, so I told them my total views is just nearly 100,000 with humble tone. Then they were giving me the shock face because they told me their total views are just half of mine. Hmm... Again, what is a youtuber in your opinion? A person who own a Youtube channel? Last but not least, the femes "instagramer". I never ever called myself as instagramer because I knew there are too many popular instagramers out there. I just a small potato person who love to play instagram and that's all. Again, let me share about my personal experience. I was invited to a foods and beverages event as media (blogger). So I was early as other bloggers haven't arrive yet. Two self claims instagramer came to me and asked why I was invited to this event, as in what kind of role. So I smile and answer politely as a blogger. Then both of them said "Ohh, blogger ah~ We are invited as instagramer" Then I was thinking. Wow~ For sure they are popular enough or else the PR won't invited them. The next thing I knew is they asked my instagram id so they can check me out. Actually I'm not willing to provide my username because I'm pretty sure they will request "followforfollow". 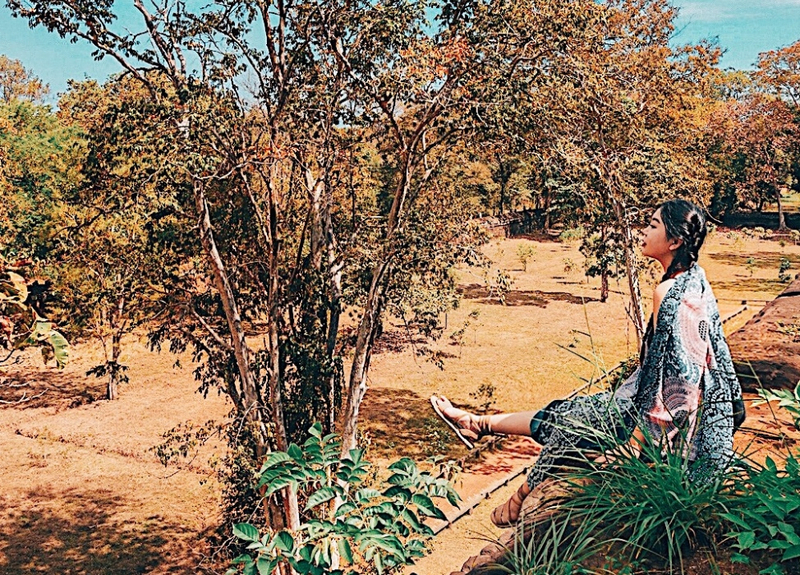 However, they continue to said "It's okay if you instagram followers are less than us, we don't mind as many bloggers also don't have much followers. We just want to view your photos." I was like excuse me, we are blogger, not instagramer like you guys so of course will focus our blog more than our instagram. So at the end they managed to find out my instagram id and they followed me. They showed me they followed me so asked me to follow them back. I was like what~ I didn't ask you to follow me but now seem like force me to follow. But at the end of course I didn't follow them back and they unfollowed me after 2 days. They asked me why I don't called myself as instagramer because my followers are twice times than them. I don't find it necessary. I just an ordinary person who like to post photos on instagram. Hola! Today topic will be one of your favourite - #Food. I don't want myself to get fat but I love to eat a lot. I can say I spend so much on foods too (beside of clothing). 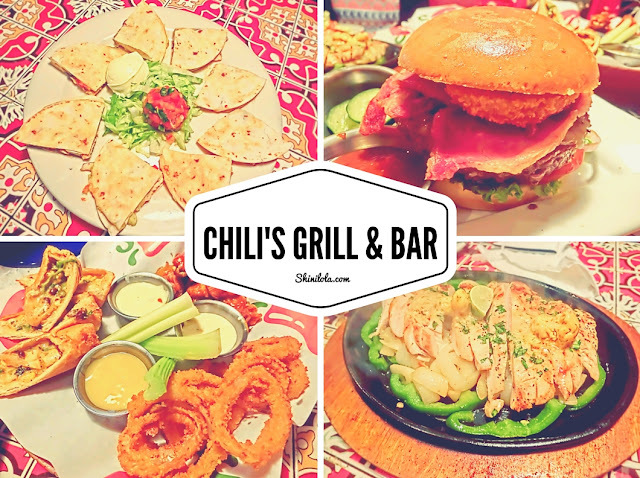 I'm pretty sure most of you heard about Chili's right? I used to visit them with my sister to enjoy their foods, especially their burger! Last Friday, me and boyfie have a pleasant dinner because we been invited to try on their menu at Citta Mall branch.